Read the first chapter free. I cannot express the honor and privilege that I feel to be a part of the Thomas Locke advance team. God orchestrates some of the kindest, most gracious, joy-filled opportunities for His disciples. I pray that my writing will do justice to this and all of the books that I feel so blessed to read. There are incredibly talented writers, both classic and modern, that are well worth the time to read. Sometimes it takes a little digging but I find that it is always worth it; Thomas Locke stands as one of my favorites. Merchant of Alyss doesn't let us down. It is just as engaging as Emissary, the first book in the series, and possibly more so. My favorite characters are taken on dramatically new adventures yet Merchant of Alyss maintains continuity within the series. 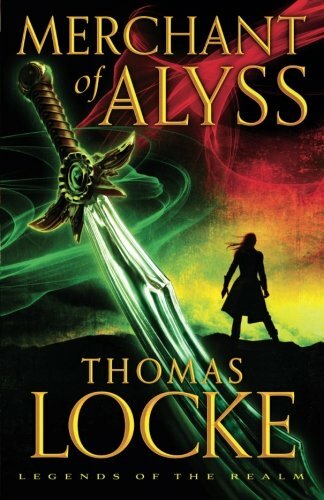 The introduction of new characters adds so much; Locke makes them genuinely live in the imagination and has them interacting within a believable fantasy landscape. A fantasy where... The mind is as engaged as the body. Mental strength and will are required. Physical consequences exist to mental images and dreams. A story that leaves you craving the next adventure! As a member of the Thomas Locke review crew, I received a review copy via NetGalley in exchange for my honest and unbiased review.